Know the Difference – Viruses Vs Worms Vs Trojans! Most often, in the computer world, users often use the term virus to refer to a malicious code, which is really not. There are different types of malicious code that includes viruses, worms, Trojans, ransomware, etc. A computer virus is a small piece of infectious code, which works to modify the operation of the computer without the user’s consent. It should be able to replicate by itself – It replicates its malicious code into multiple copies and it replaces other files with a copy of its infected file. Computer viruses infect PCs and network servers. Viruses are programmed in different ways to serve different purposes. For instance, some are developed to infect the computer by deleting files. damaging programs or formatting the hard disk without the user’s consent. While others are benign and are developed to replicate into copies by themselves notifying the user about their presence by sharing text, audio messages and videos. The latter can use up the computer memory which is actually used by genuine programs – this results in unpredictable behavior leading to system crashes. Do you need protection against Trojans? As the name suggests, this type of virus infects program files. This type of virus infects executable codes like .exe files and .com files. They are potential to infect the other files when running from a network, floppy or hard drive. Boot sector viruses infect the boot record on hard disks and floppy disks. There is a small program in the boot record of all floppy disks and hard disks, that is run when the user starts up the system. Boot sector viruses attach themselves to this part of the disk and activate when the user attempts to start up from the infected disk. These viruses reside in the memory. Most of these viruses were developed to attack DOS, however, all PCs, regardless of the operating system, are targeted by this virus. The main game is that a PC with an infected floppy disk would be a potential target for a boot vector viruses. Master boot record viruses are more like boot sector viruses that reside in the memory and infects the disks. The location of the virus code makes the difference between the Master boot record viruses and boot sector viruses. Hackers generally store a genuine copy of the master boot record in a different location. This is also known as Polypartite virus and it has been developed by the hackers to infect both program files and boot records. This type of infection is difficult to repair. Though the files have been cleaned, the virus reinfects those files, if the virus is not removed from the boot area. 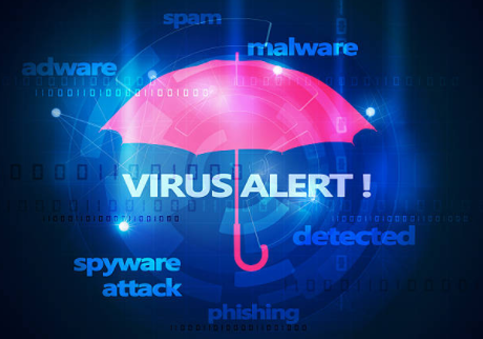 These viruses infect data files, with the coming of Visual Basic in Microsoft Office 97, a macro virus can be written to infect data files but also has the capability to infect other files as well. Macro viruses infect Microsoft Office Excel, Word, Access and PowerPoint files. These macro viruses exploit the use of other program’s programming language, that has been created to allow users to automate certain tasks within the application. Due to its ease, there are thousands of such viruses. Example – The PWSteal.Trojan is a Trojan. Updating the Operating Systems and other applications of the users’ devices with the latest security patch fixes would help users battle against the malware that potentially targets outdated vulnerable devices. 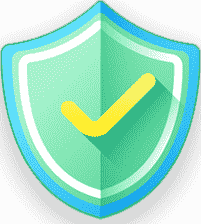 There are umpteen antivirus solutions available as free and paid versions to fit the security requirements of both individuals and businesses – high and low. There are some market leaders like Comodo which offers Internet security suite that offers complete 360 degree protection combining Antivirus, Firewall, Containment Technology, Host Intrusion Prevention, Cloud Delivered Protection, Secure Shopping, Protection Against Man-in-the-Middle Attacks, Secure DNS, Real-Time Scan, Viruscope, Web Filtering, Rescue Disk, Virtual Desktop, Kill Switch, Antivirus Updates and Protection against Fileless Malware. When all these are put together under a single roof, It works efficiently to render malicious programs useless and prevent them from even reaching your computer. Ransomware Threats and Endpoint Security.. Importance of Endpoint Protection in Mod..